Washington DC [USA], Nov 8 (ANI): Jeff Sessions on Wednesday resigned as the United States' Attorney General, President Donald Trump announced. Washington D.C. [USA], May 31 (ANI): Venting out his anger over the Russian meddling probe, United States President Donald Trump on Wednesday said he rued his decision of picking attorney general Jeff Sessions to head the Department of Justice (DoJ). Washington D.C. [U.S.A.], Apr. 22 (ANI): United States President Donald Trump on Sunday refused a report which stated that he calls Deputy Attorney General Rod Rosenstein as "Mr. Peepers," and Attorney General Jeff Sessions as "Mr. Magoo,". 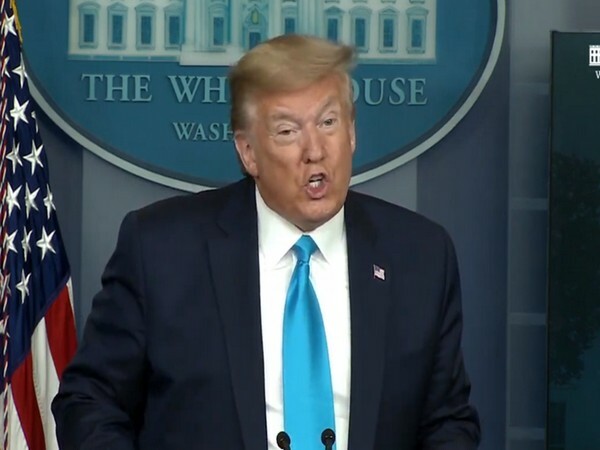 Washington DC [United States], Feb 21 (ANI): United States President Donald Trump on Wednesday said Attorney General Jeff Sessions should investigate former president Barack Obama as the Russian meddling in the 2016 election took place during his administration. Washington DC [United States], Feb 19 (ANI): United States Attorney General Jeff Sessions on Sunday said that he did the right thing to recuse himself from the Justice Department's investigation into Russian interference in the 2016 U.S. election. Washington D.C. [U.S.A] Feb 3 (ANI): The United States Attorney General, Jeff Sessions, is considering to refer the declassified memo released by the Republicans to the Justice Department's internal watchdog office for investigation. Washington [United States], November 23 (ANI): United States Attorney General Jeff Sessions has ordered a comprehensive review of the national database in order to beef up the background checks on gun buyers. Alabama [U.S.A.] Sept. 23 (ANI): United States President Donald Trump on Friday told his supporters that they have to speak to Attorney General Jeff Sessions, after crowd chanted "lock her up" in reference to Hillary Clinton. Washington D.C. [USA], Sept 13 (ANI): In a resolution sent to the White House on Tuesday, the Congress urged the United States President Donald Trump to take a stand in condemning White supremacy and racist hate groups.